So we continued with our journey to explore Joo Chiat in our quest to find out which is the best Vietnamese eatery in Singapore some weekends back. 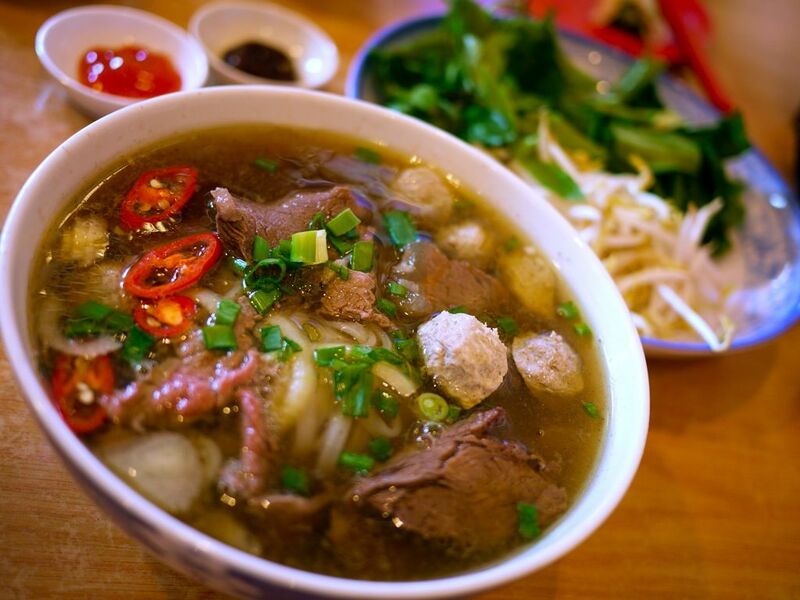 The rave was of course Long Phung (read it here), which we both love, but we do have some issues with the sweetness of the broth (as do many). 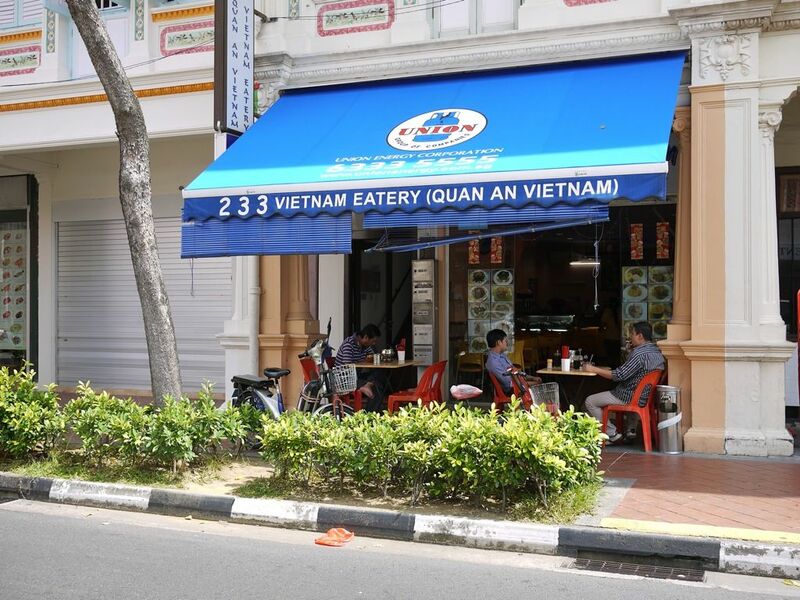 We decided to check out 233 Quan An Vietnam that is a couple of blocks away. 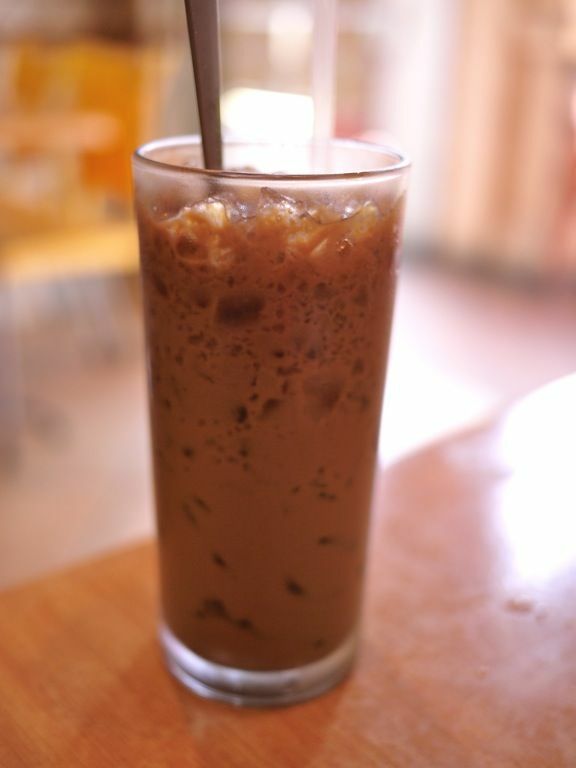 My standard drink at any Vietnamese eatery- Ca Phe Sua Da ($2.30), Vietnamese Drip Coffee with Milk. Granted that it's not the most pretty or high quality beans but it gives me the high from the strong dark coffee that's kinda over-roasted and the sweetness from the condensed milk that also masks the bitterness. This was quite satisfying. 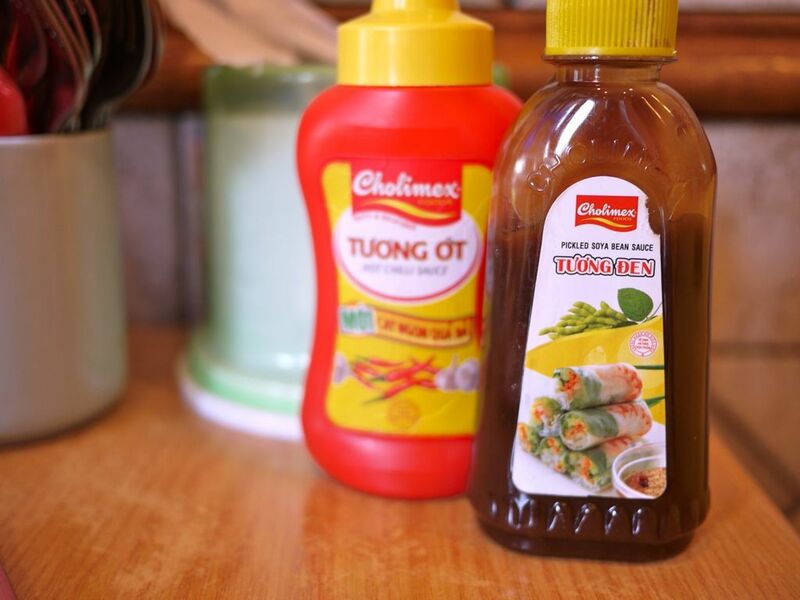 You can order individual portions of the Goi Cuon ($1.20ea), fresh spring rolls. Instead of the typical dark sweet sauce with peanuts, we got the cut chili version with vinegar. This was quite refreshing and provided a fiery kick instead of the regular sweetness. 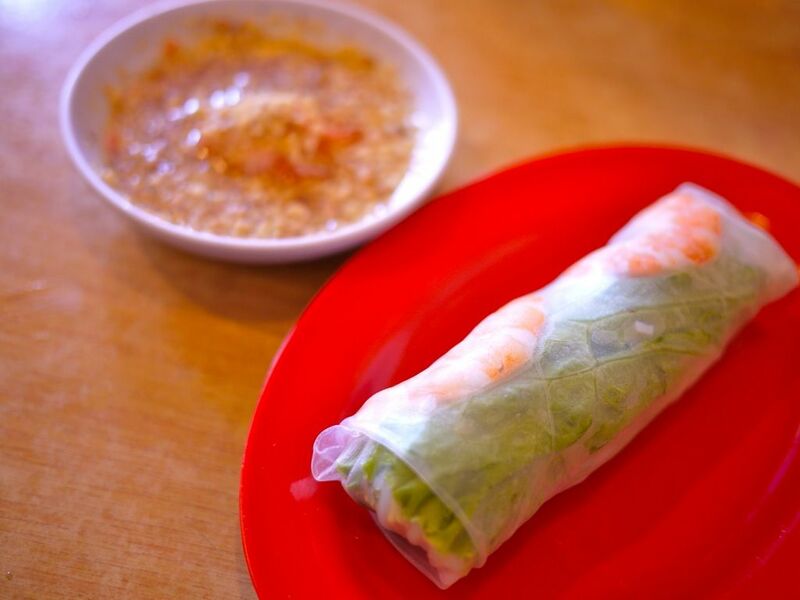 The quality of the rolls are of the expected standards that we exact of Viet eateries that claim to be authentic. Both of us had the Pho Bo with beef balls and probably brisket ($6.50). Though the soup is a little more savory than Long Phung's, i find that the broth lacks in flavors. The meat was also on the tougher side, especially for the brisket. Balls were good though. Perhaps i've been spoilt by Long Phung and other Viet restaurants but i'm too used to freshly cut chili padi and the whole she bang of special sauces that they typically provide. Needless to say i was quite disappointed with the 2 bottled sauces that sat sadly on the tabletop. The innocent looking chili sauce was surprisingly spicy but it certainly pales in comparison to fresh ones. The crowd started packing in at lunch, with quite a couple of Vietnamese. Perhaps the other dishes aren't too bad but it's not gonna be my top choice for Pho Bo.